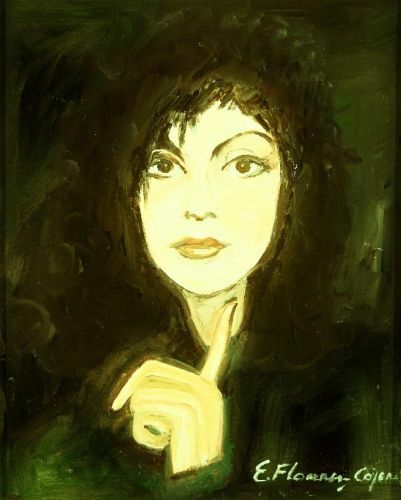 Cojenel Elena is an international European artist with over 65 solo exhibitions; she has received numerous awards (Award for painting "Stefan Luchian" -2007; Eminesciana 2012 Special Prize for portrait in oil, etc.) The artist has references from Acad. Constantin Ciopraga, Dan Hatmanu painter, historian and art critic Vasile Florea historian and art critic Valentin Ciucă, painter Sabin Balasa, John Truică painter, curator Maria Hatmanu, art critic Michael Păstrăguş, prof. Al Husar. Appearances in publications (anti-book Store) Cultural TV profile, "Lesson watch." The artist appears in Encyclopedia of Contemporary Romanian Artists Vol. VI-VII (Editor Arc 2000) and in Romanian art history from its origins until today. The artist has works in collections throughout France, Germany, Norway, Israel, Hungary, USA, Canada, Japan, Spain, Ukraine, Portugal and Moldova.